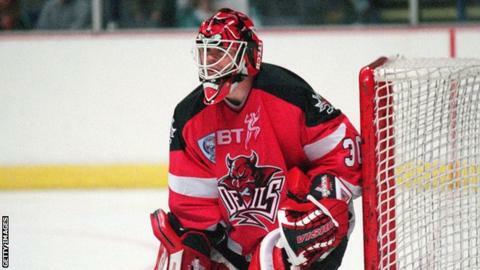 Swindon Wildcats' Welsh netminder Stevie Lyle has been called up to the Great Britain squad to play Poland. Cardiff-born Lyle, 36, replaces the injured Stephen Murphy for the matches in Nottingham on Saturday and Coventry on Sunday. Head coach Pete Russell said: "It is disappointing to lose Stephen Murphy again and he will be missed. "But Stevie Lyle is a very experienced goalie and has done it time and time again for GB." GB begin their training camp in Coventry on Wednesday. Russell said the 75-times capped Lyle's experience will be invaluable. "He led us to a win over Serbia in February and he still has the ability to play at a high level," he added.